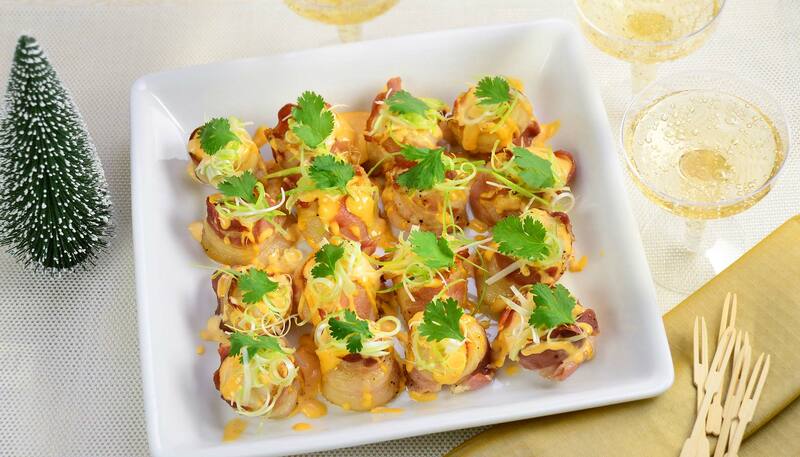 Upgrade your appetizer recipe collection. 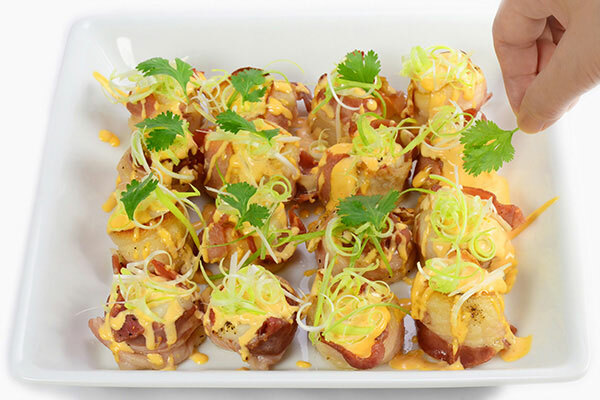 The semi-spicy sauce compliments the scallop and bacon well. 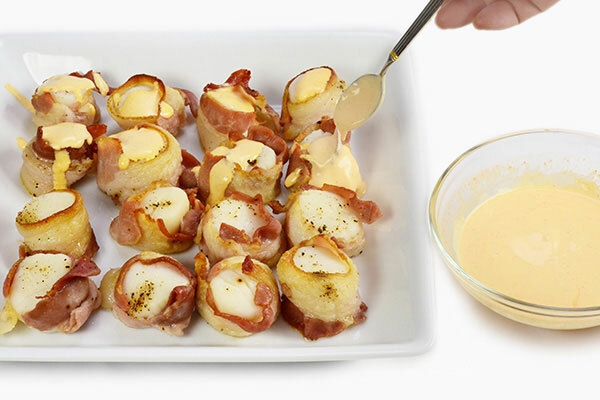 This is an appetizer that is impressive yet easy to make. Precook the bacon. Cut bacon strips in half crosswise. 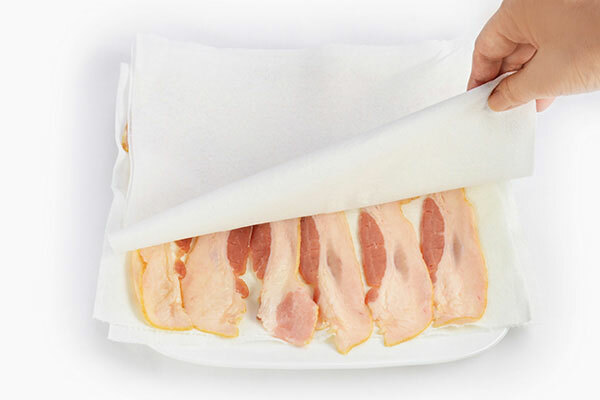 On a microwave-safe plate, place half the amount of bacon between paper towels. Microwave at 1,200 watts for 40 seconds, until partially cooked but not crisp. Repeat step to precook the remaining bacon slices. 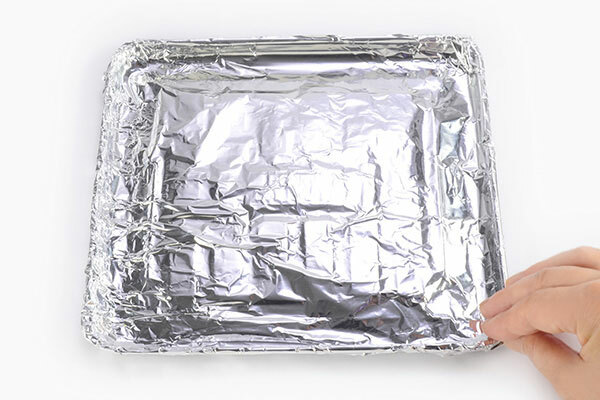 Line the baking tray of Toaster Oven with aluminum foil. Pat dry scallops and remove any side muscles. 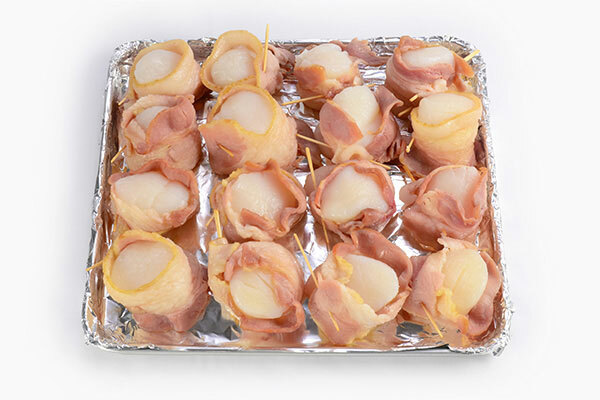 Wrap a precooked bacon around each scallop, secure with toothpick and place on the lined baking tray. Sprinkle salt and pepper over scallops. 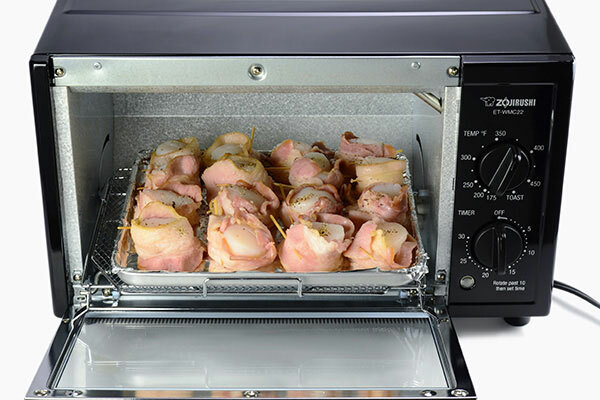 Set the Toaster Oven at 375ºF. 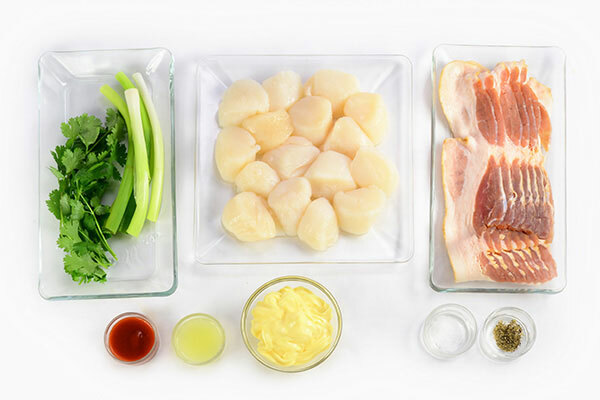 Bake for 12-14 minutes, until scallops are firm and opaque. Make the sauce while scallops bake. 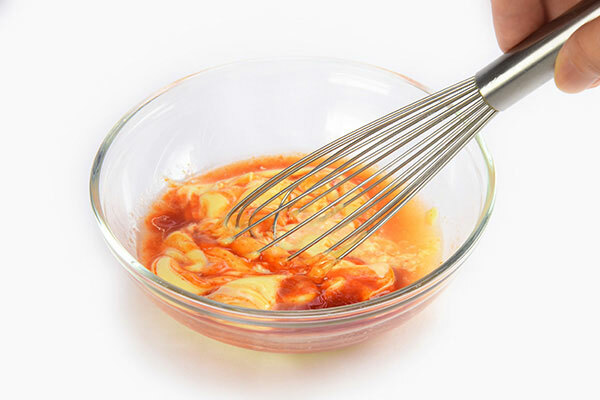 In a small bowl, combine all ingredients for sauce and mix well. Prepare garnishes. 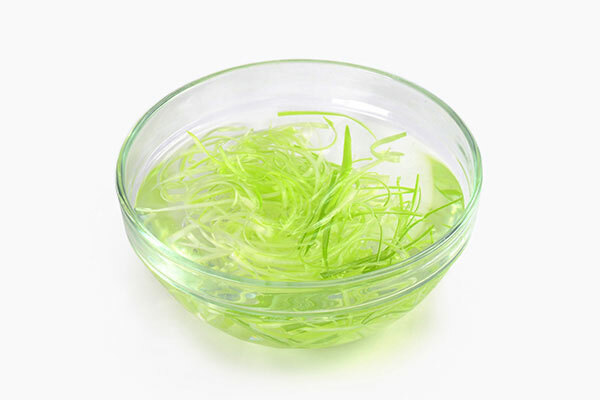 Finely julienne green onions into 2.5” long strips. Soak in water for a minimum to 5 minutes. When the scallops are cooked, remove toothpicks from each scallop and transfer to a serving plate. Drizzle with sauce. Drain green onion strips. 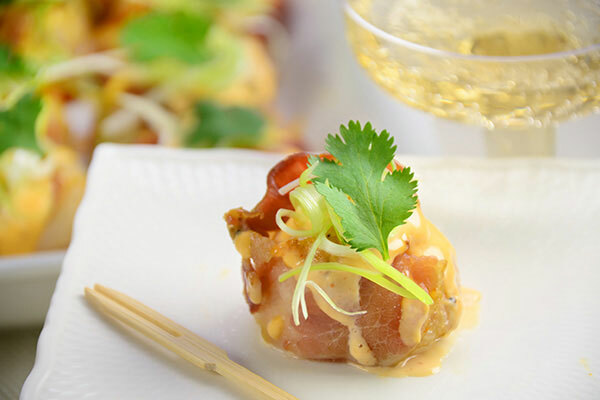 Garnish each with a green onion strip and cilantro leaf.